This dessert is going to change your life. I’m not saying this lightly. I wholeheartedly mean it when I say that it will change everything you think you know about homemade ice cream. First, let’s talk about the texture. When I lived in Rome in college, I lived off of gelato for several days of each week. The smooth and creamy texture of gelato struck me as something completely unreal. It was pure heaven to indulge in a cone on my way back from classes when I lived there, and I still have dreams about those triple-scoop cones that I would spend all my extra money on. 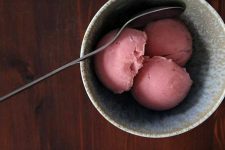 This homemade frozen dessert has that texture. Something about the combination of heavy cream and milk in this particular base creates a rich, dreamy batch of sweetness no one can resist. 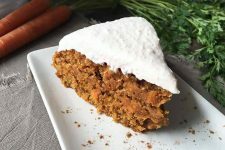 You will feel like you are eating a cloud of happiness. Really, I’m not exaggerating. It’s that good. 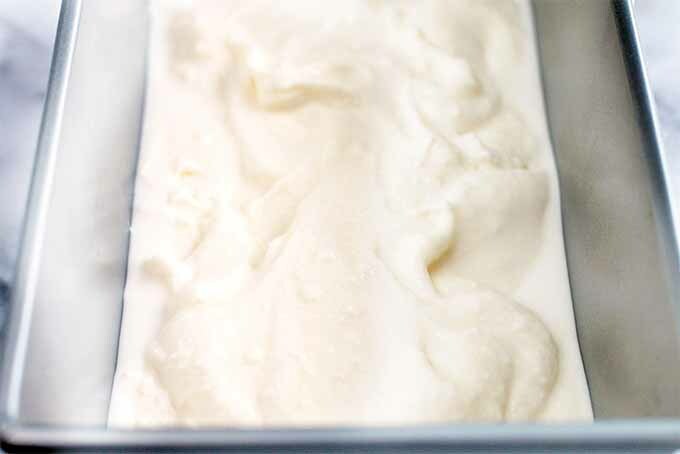 Traditional gelato is made with more milk than cream, and it’s churned more slowly to add less air to the mix, creating a more dense mixture. 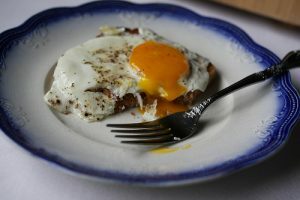 It’s also made without egg yolks, and that’s the main difference here that reminds me of those sunny days in Italy. Next, let’s talk about the vanilla that serves as the main flavoring in the base of this incredible dessert. It’s quite possibly the best tasting vanilla ice cream I’ve had in a long time, made right in the comfort of my own kitchen. I highly recommend using the highest quality of pure vanilla that you can find. The better the vanilla you use, the more the deep vanilla flavor comes through in every single bite. Tahitian vanilla extract is a favorite, but scraping half of a vanilla bean (the equivalent to about 1 1/2 teaspoons of extract) would be even better. You really want that vanilla flavor to be prominent. This rhubarb sauce that you make from scratch for this recipe is pure deliciousness. It offers the best balance of sweet, tart, and tangy flavor. 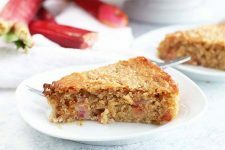 The sauce is very easy to make, and most of the effort involves simply letting it sit on the stove, bubbling away so the rhubarb can break down quickly. I have to warn you: be careful about tasting the sauce. It’s one of the most magical tasting sauces in the world, and you might find yourself inhaling spoonful after spoonful of it. 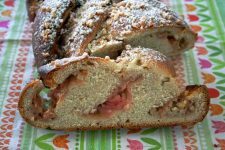 Before you know it, you might not be left with enough to make the recipe, and you’ll be forced to go to the store to buy more rhubarb to make it all over again. Not like that happened to me or anything… I’m just saying it’s a smart move to give it a tiny taste, but enjoy the majority of it after adding it to the mixture. Of course, another option is to make a double batch. 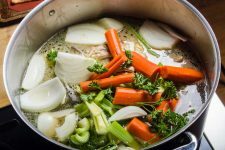 At the end of this article, you’ll find more exciting tips for using the sauce. 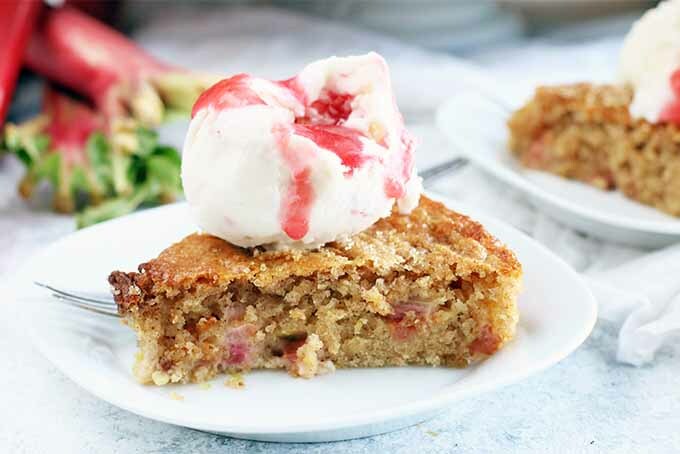 Try serving a scoop or two of this delicious frozen treat with a slice of moist Lemon Rhubarb Spelt Cake. This unforgettable pairing is a real crowd-pleaser. The creamiest dessert you’ll try this summer. 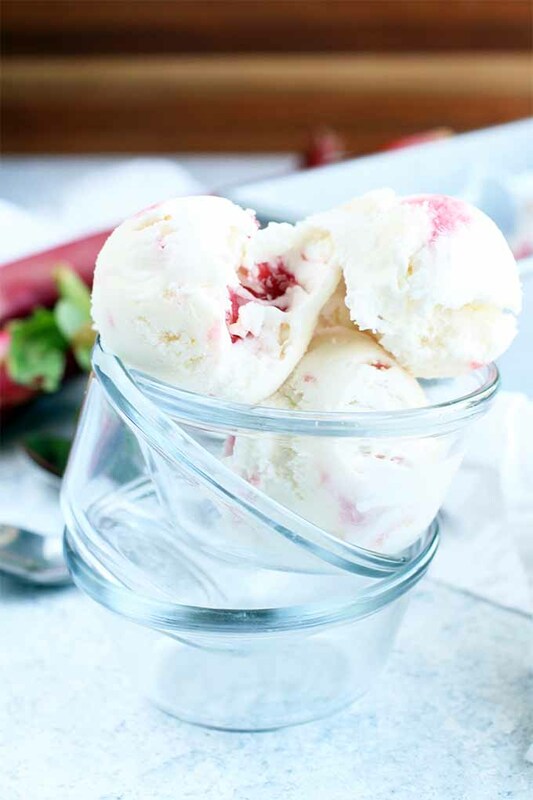 Rich, tart, and sweet with the flavors of vanilla and fresh seasonal produce. 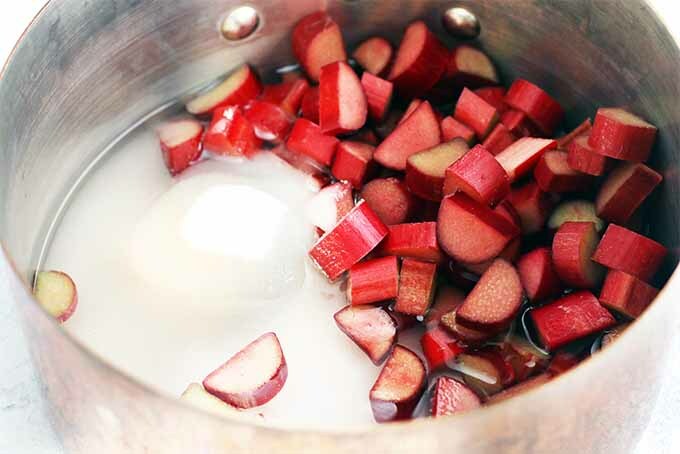 Place rhubarb, sugar, and water in a medium saucepan over high heat. 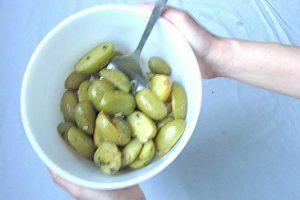 Bring to a boil and continue cooking 10 to 15 minutes, stirring occasionally. The rhubarb will break down and should take on a jelly-like consistency. Remove from heat and allow to cool. Add to a blender or food processor. Process until smooth. 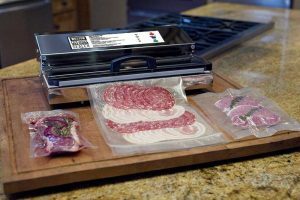 Cover and place in the refrigerator for 2 hours, or until completely chilled. 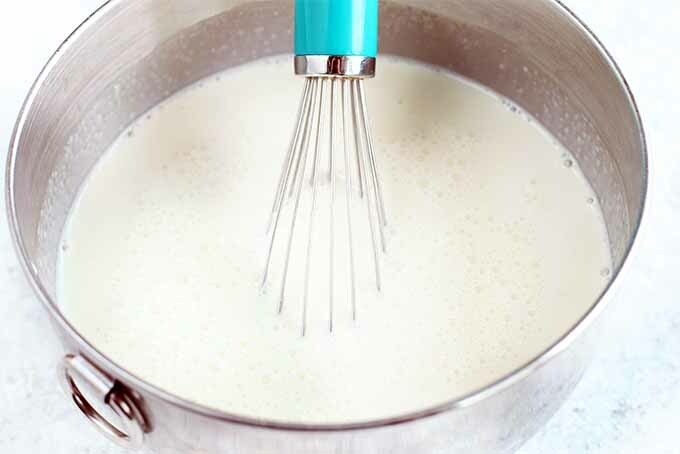 Whisk together heavy cream, milk, sugar, vanilla, and salt in a large bowl. 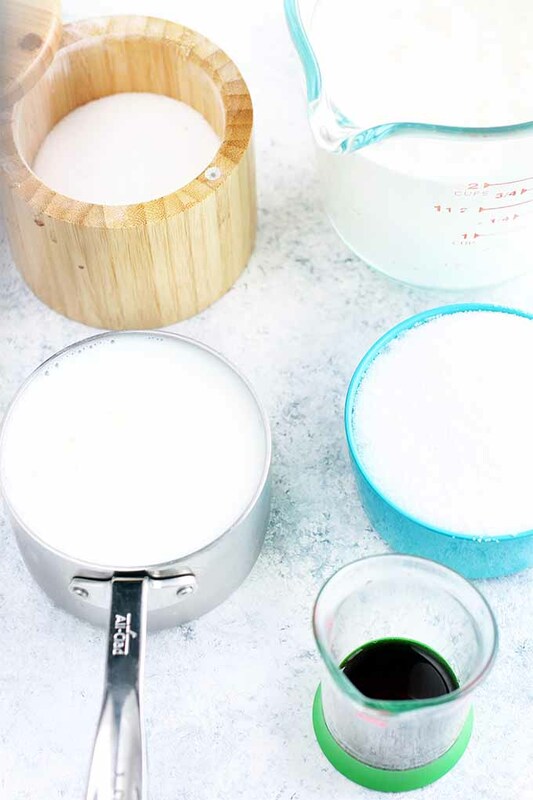 Once sugar is dissolved, cover and refrigerate for 3 hours until chilled. Pour base into ice cream maker. Churn according to manufacturer’s directions. 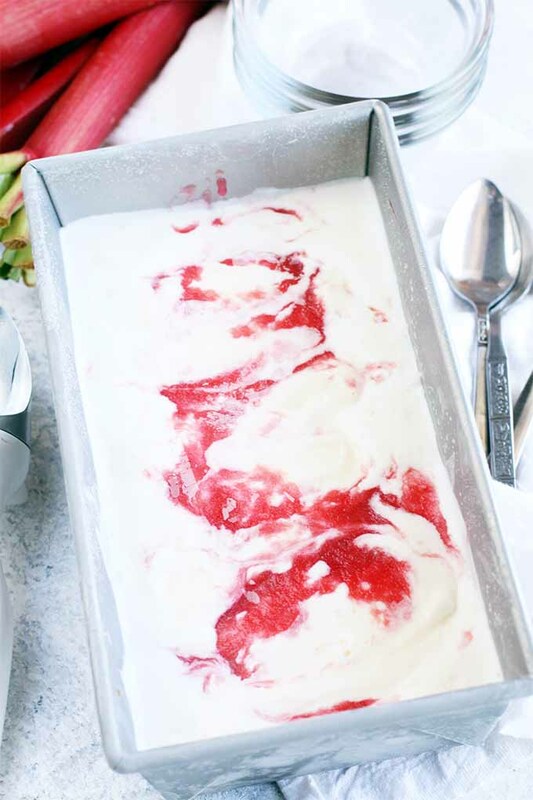 Transfer half of the ice cream to a loaf pan. Spoon half of the sauce over the top. Add the remaining ice cream on top of that, and top again with sauce. Use a knife to swirl. Cover and freeze until firm, 3 hours minimum. Rinse the rhubarb well, and remove any leaves completely. 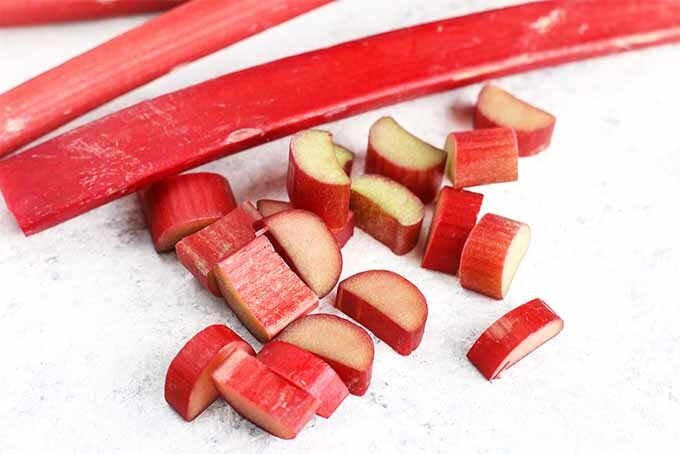 Using a sturdy cutting board and a sharp knife, chop the rhubarb into 1/2-inch pieces. If you are using a vanilla bean, scrape it out and reserve the pod for another use, like making vanilla sugar (just stick it right in your sugar bowl and forget about it, for delicious results). Measure the remaining ingredients, grouping them on your countertop so you have everything you need for the swirl and the base ready to go. Add the rhubarb to a medium saucepan over high heat, with the sugar and water. Bring to a boil. Cook at a rolling boil for 10 to 15 minutes, stirring occasionally. The rhubarb should be tender and falling apart when you remove the saucepan from the heat. 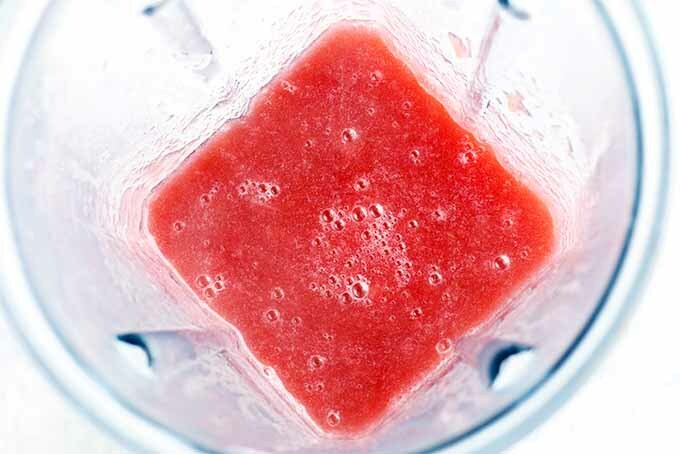 Add the mixture to a food processor or high-power blender. It’s a good idea to transfer the mixture to a bowl and allow it to cool completely before you do this, to avoid burns. 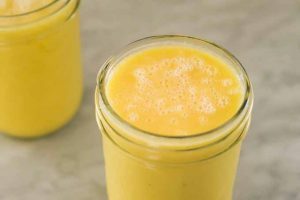 An immersion blender can also be used, and many find this to be more convenient since you can use it right in the pot, even while it’s still hot – less dishes! In a large bowl, combine the cream, milk, sugar, vanilla, and salt. Whisk until the sugar is completely dissolved. 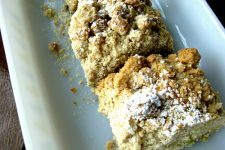 Superfine sugar can be a good choice here, since it will dissolve more quickly and easily. The base will need to chill for at least 3 hours. 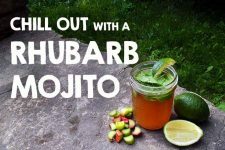 This will give you plenty of time to tackle some other kitchen chores like cleaning the countertops or your large appliances, or chilling on the patio with a fresh lemon and blackberry cocktail. You can also feel free to let these ingredients chill overnight. This is a great idea if you’re using an ice cream maker with a detachable base that also needs time to freeze, like the KitchenAid model. 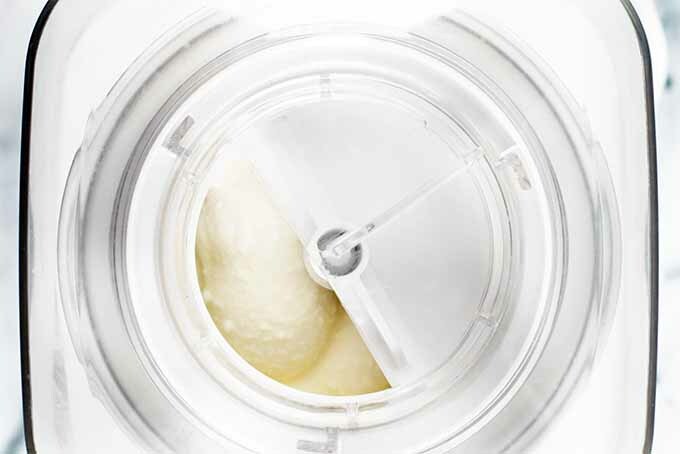 Once the base is chilled completely, add it to your ice cream maker. Churn according to the manufacturer’s instructions. 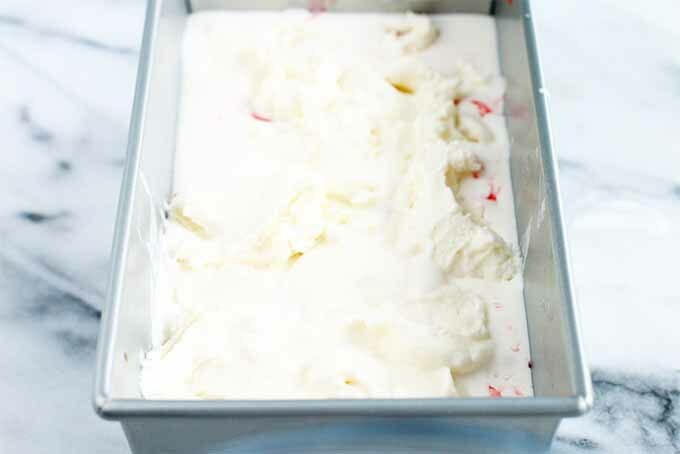 Add half of the churned ice cream to a loaf pan. Spoon over half of the chilled rhubarb sauce. Add remaining ice cream on top. 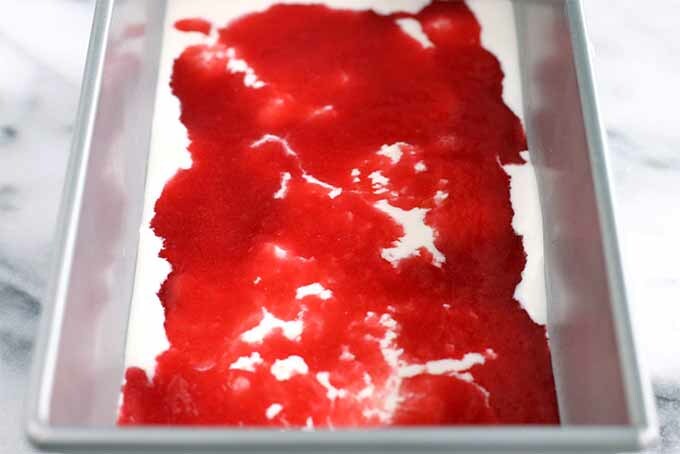 Make a line down the center, creating a divot in the surface of the ice cream, and top again with some of the sauce. 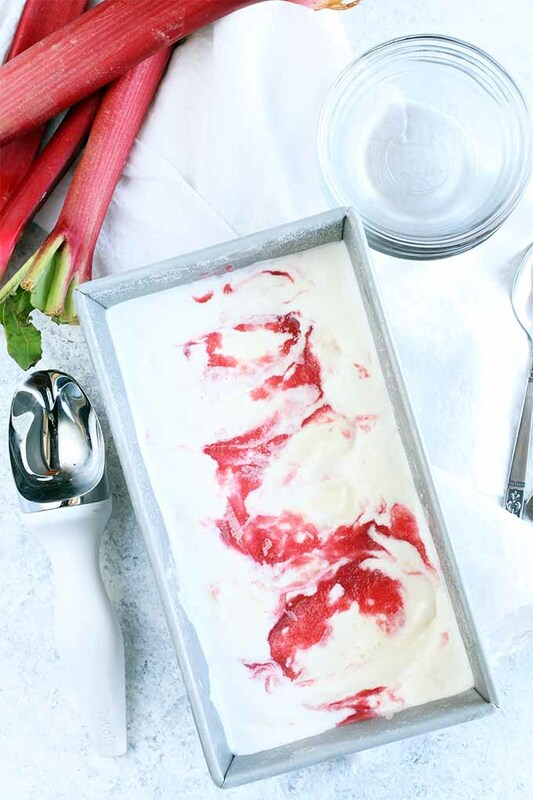 Use a knife to swirl the rhubarb puree just a few times in a zig-zag or figure eight motion. Don’t worry – when it’s time to get out your trusty ice cream scoop, the layers and just a light figure eight on top will create a lovely swirl pattern. 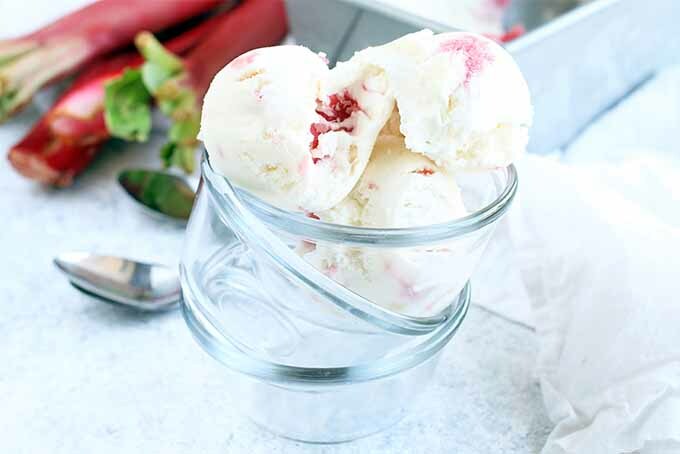 Some ice cream makers will also allow you add a swirl right in the machine, but check your manufacturer’s instructions – you don’t want to overfill the machine, or overmix. 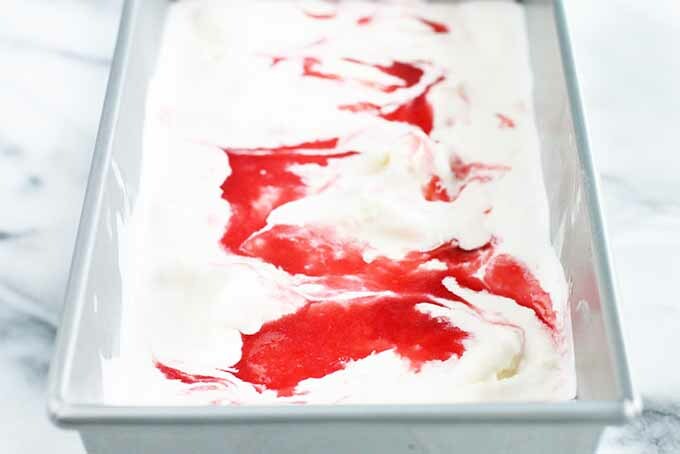 We’re going for an obvious swirl here that’s distinct from the vanilla base, not a uniform pink frozen dessert. Cover the loaf pan with plastic wrap. Chill until the ice cream is firm, approximately 3 hours minimum (overnight is best). My best piece of advice for this recipe is not to use all of the rhubarb sauce for your swirl. Personally, I like to make a line down the center for the last layer of sauce, instead of covering the entire surface. Not only does this make a prettier design on top when you swirl it in with a knife, it also leaves some leftover rhubarb sauce to set aside for later. 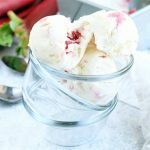 I love putting the extra sauce on top of scoops of ice cream right before serving, but it is also great on homemade baked goods like scones, muffins, biscuits, and so much more. Consider drizzling it over some fruit or even using an ounce or two of it in a cocktail (a rhubarb margarita, perhaps?). It’s a very versatile sauce, and I just love having it on hand. 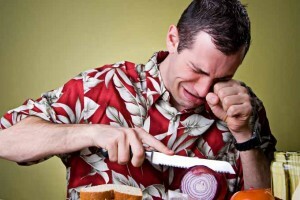 I’ll even go back to this recipe just to make the sauce to keep in the refrigerator. It’s just that dang good. What’s your favorite way to enjoy this seasonal dessert? Give it a rating below, and share your comments – we love hearing from you! Photos by Meghan Bassett, © Ask the Experts, LLC. ALL RIGHTS RESERVED. See our TOS for more details. Originally published by Shanna Mallon on May 20th, 2010. Last updated: November 7, 2018 at 9:41 am. With additional writing and editing by Allison Sidhu. 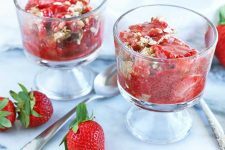 Goodness, it’s like the food blog world has exploded with rhubarbs today! 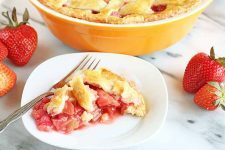 I have never cooked with rhubarb, though there is a strawberry rhubarb pie that I just die for…it used to be at our farmer’s market, but the pieman wasn’t there the last few times we went. Hopefully he will be back again this year…and I will make some rhubarb treats of my own. We need to be friends! I can’t believe I’ve never been to the Wheaton French Market, but on your recommendation I will be going SOON (I work just a mere 15 min from there! 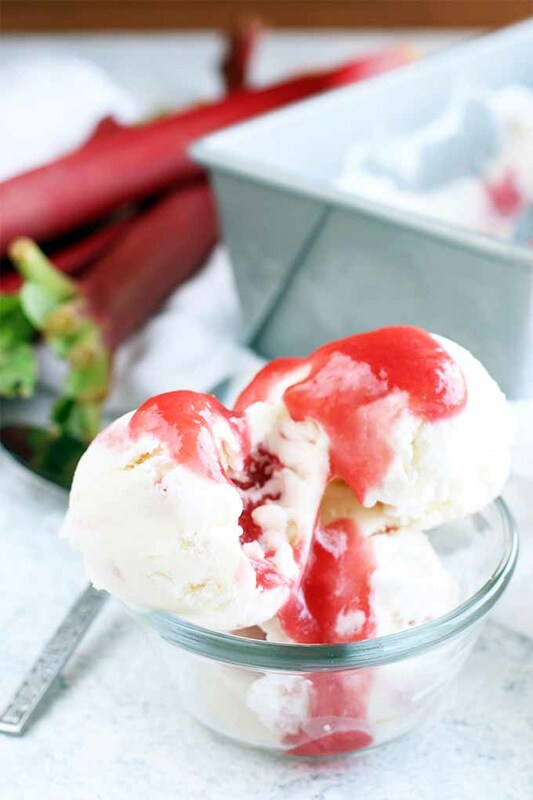 ), I love homemade ice cream (and rhubarb) with a passion, and I stopped while reading just to have the moment of silence for LOST ending soon. Lovely rhubarb photos. Farmer’s markets hold so much inspiration! Although, just today I picked up some greens and I can’t remember what they were called! This cake sounds so good, I bet it would be good with raspberries and cherries when their in season. Yum, thank you! 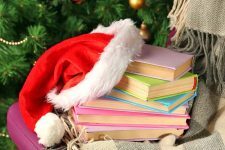 Wow–you’ve been busy! I adore rhubarb in every form. It says “Spring” like nothing else. That scoop of homemade ice cream is killing me. The pale pink color is really beautiful! What sort of ice-cream maker do you use? I’ve had my eye on Cuisinart’s $50 version for some time, and every time I see an inventive flavor creation like this one, I feel another tug at my heartstrings to make that small investment of money/countertop space. totally forgot about how the weather and the season is so much an inspiration. and hooray for farmers markets — if you ever need a market buddy, give me a call! I’ve adored rhubarb since I was old enough to snap the stalks off the large bush in our backyard. I recently made a crisp, flavored with cardamom and now have yet another means of enjoying this fleeting food in the most glorious of seasons. That sure looks like a winner! YUM!!!! we have a place at the end of our road – you just go along the lake, for a mile – and there’s a cottage there that has a HUGE amount of rhubarb bushes.and guess what? THEY DON”T LIKE RHUBARB! (what? i know!) so i asked a few years ago if i could use some. and he said yes. and we have so much lovely rhubarb, for free, every year. i look forward to it! now these recipes? YUM> thanks! That is such a crazy good deal for all of that produce at the farmer’s market. Shoot. I, too, love Spring. It always feels like a rise from a deep hibernation. Last week, I ate my first apricot and it was just so glorious. 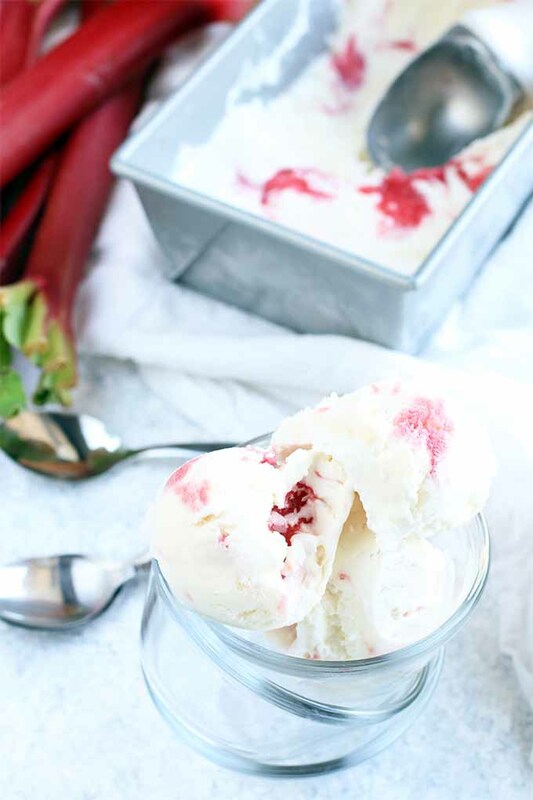 I love the idea of making rhubarb ice cream–tangy and creamy. Yum! Spring is here, truly ushered in with blooming beauties, and veggies. Kim, I know! I know! The day or two before I posted this, I kept seeing rhubarb pop up. It’s that time of year! Tammy, Well, I agree! I’ll probably be back at the farmers’ market next on June 19, which I know sounds like a really long time from now. But if you’re up for it, I’ll walk the tents with you! Jacqui, That’s awesome about your greens – I’m sure you’ve finished them off by now, but I hope you loved them! 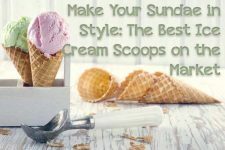 Maddie, My ice cream maker is a sad little hand-me-down that I really couldn’t recommend… it gets the job done, but it’s not terribly good at it, ha! Having one is definitely worth it though – buy one! Buy one! Jacqui, What are you doing a few Saturdays from now? June 19, I think we bloggers should all hang! Kate, Oh cardamom would be so nice in something with rhubarb. That sounds lovely! JessieV, Their loss = your gain! That’s awesome! Tim, I know! I thought so, too. Well, shoot indeed. 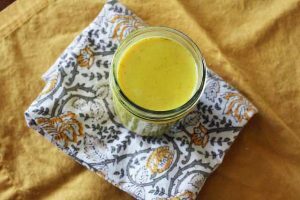 Kasey, Tangy and creamy – that is exactly it! Shanna! I wish we lived closer together and we could make fun creations together! 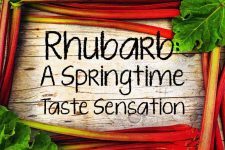 I can’t wait to make some rhubarb recipes before it quickly leaves us! This looks wonderful. I have finally embraced rhubarb this year after years of being anti (old childhood prejudices) and am very glad I did. Maybe I’ll squeeze in one more recipe before it disappears again. Gemma, Hooray for learning to like things we thought we hated. I so know about that! And if you’re going to squeeze one more thing in, this would be a great one. Tammy, Sounds great! Those months are all pretty wide open as of now, so you can name the weekend. Maybe let me know when it gets closer? Looking forward to it! I’m just now getting to this!!! Life has turned crazy for me – after being out of town for 3 weeks my husband got a job in Michigan – we are moving August 1st!!! So I will continue to know you from afar reading your blog Shannalee – and absolutely continuing to love it!